The universal law of attraction may be ubiquitous, but to reap it's inestimable benefits and rewards, it must be cultivated. When we move beyond the Ultimate Secret and it's initial euphoria, we find the real world of necessary effort. Every creature on this Planet must work to survive. Humans are no exception, even if some do question the validity of this demand from Nature. We possess potential brainpower many orders of magnitude greater than our closest cousins in the animal world. And we possess the means – via our innate intellection - to develop and apply this potential brainpower. Our brainpower is a gift from Nature, provided in one compact, convenient, super-portable package. By default, we take it everywhere we go!! Poised, and ready for wise use and action. These points are well worth recalling on a regular basis, because by doing so, they help to build our sense of Conscious Awareness. Another fact to recall often, to help heighten our conscious awareness, is that our subconscious mind is ever occupied in pleasing our conscious mind by fulfilling our dominating thoughts. A gripping reason to think Good - and productive - thoughts exclusively. Ralph Waldo Emerson presents a wonderfully pulse quickening perception of the power available to the Human mind . . .
"As a Plant upon the Earth, so a man rests upon the boson of God. He is nourished by unfailing fountains, and draws at his need inexhaustible Power. Who can set bounds to the possibilities of man? Once inhale the upper air, being admitted to behold the absolute natures of Justice and Truth, and we learn that man has access to the entire mind of the Creator, is himself the Creator in the finite". In less than a hundred words Emerson has eloquently described the universal law of attraction, and beyond, with pin point accuracy. One's unadulterated comprehension of the universal law of attraction is an essential step towards understanding what is and the ultimate secret. Positioning you comfortably on the path to effectively developing the full power of your mind. This power is nothing short of breathtaking. Once set in motion, and ideas are intelligently ameliorated, it is equivalent to cultivating healthy seeds in fertile soil. Physical Manifestation, otherwise known - in this instance - as achievement, is the inevitable outcome. Napoleon Hill adds considerable weight to, and indicates his understanding of Emerson's razor sharp perception, offering thinking minds additional food for thought with his modestly worded declaration . . . .
"I have proved, times too numerous to enumerate, to my own satisfaction at least, that every human brain is both a broadcasting and a receiving station for vibrations of thought frequency". 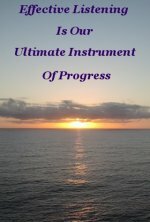 Emulating - in the good sense of the word - Napoleon Hill's modest stance, my own understanding of, and practical experience with, how our mind works, confirms in the most positive fashion that these two statements provide a foundation of the first order on which to build an all-embracing apprehension of your greatest asset and ally - Your own mind. 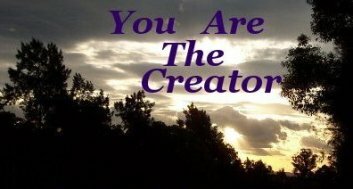 We do indeed have access to the entire mind of the creator. This is how we communicate with Spiritual Intelligence. While conscious creation, that is, producing something with the power of thought only, is possible - distinguished scientists are currently experimenting with this exciting prospect - it is not yet a substitute for action. 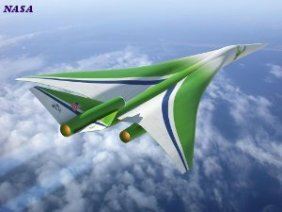 To prepare ourselves to use conscious creation, as a species we will also need to divest our not inconsiderable drawbacks. Namely - our undesirable traits. Accordingly, until we are more advanced beings where we all understand that we are one consciousness, one universe, where war, dissension, and refusal to get along with each other, are recognized as aberrations . . .
And the desire to help one another without regard to reward is second nature, let's work on the premise that the law of attraction requires action. The one thing this philosophy does not offer, is something for nothing. On occasion we all receive something we haven't paid for. These gifts are usually welcomed, and mostly reciprocated. However, someone, somewhere, has paid the price of effort to produce our freebie. To produce anything, action must be taken. If you are using the Law Of Gravity to move an object and you nail that object down you are obviously defeating your purpose. It won't work. One may conclude that inaction thwarts the Law Of Attraction in the same way. This is a false conclusion. This powerful law fulfills one's dominating thoughts by presenting to us opportunities related to those dominating thoughts. We guide the result we want by refining and focusing our thoughts on a crystal clear outcome. Then constructing that outcome by taking action. The result is an exact replica of the thoughts that created it. The accuracy of the outcome is entirely dependent on the accuracy of our thought. Emphasizing the pivotal necessity of taking charge of our thoughts. The only part of the process we have direct influence over is the thoughts we think. Nature delivers her responses in Her own good time. However we can encourage faster, sometimes immediate, responses with the emotional intensity of our request and paying attention to our conscious awareness, wherein we recognize the responses to our requests. Positive and Negative thoughts are treated in the exact same manner by this Law that pervades our existence. Entertaining dominating thoughts of poverty and misery will be rewarded with opportunities to produce more poverty and misery. With the added bonus of shutting down one's problem solving ability because we are indicating clearly to Spiritual Intelligence that we have no intention to use it. Our belief system confirms our interpretation of our hopeless circumstances and we continue a compounding downward spiral of defeat. Simply because we refuse to engage the universal law of attraction in a positively productive manner. 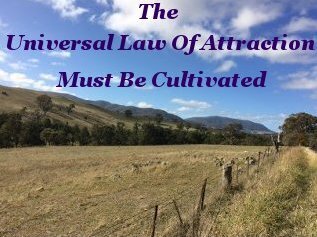 The ability to use this law is not difficult to develop - the Human mind is built to interact seamlessly with Spiritual Intelligence via the Universal Law of Attraction - but it takes skill. Every skill is developed and honed by practice. Heading the list of required skills is Desire, Belief, Accurate Thinking, and Self Discipline. Followed closely by Determination, Persistence, Integrity, and Initiative. These skills are Principles and Tools we can use to expand our mind and take full advantage of this law. 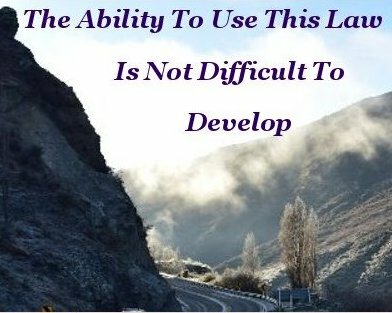 These Tools, and many others, can be found in the philosophy of Personal Development.